Has your company experienced exponential growth and your business systems have not kept up? Disparate legacy systems are kept together with band-aids, and spreadsheets are added to create data which cannot be trusted and is untimely for decision making. This is a very familiar story for companies who have been so focused on growing their businesses but not investing the proper time, resources, and capital required to take their internal back office systems to the next level. 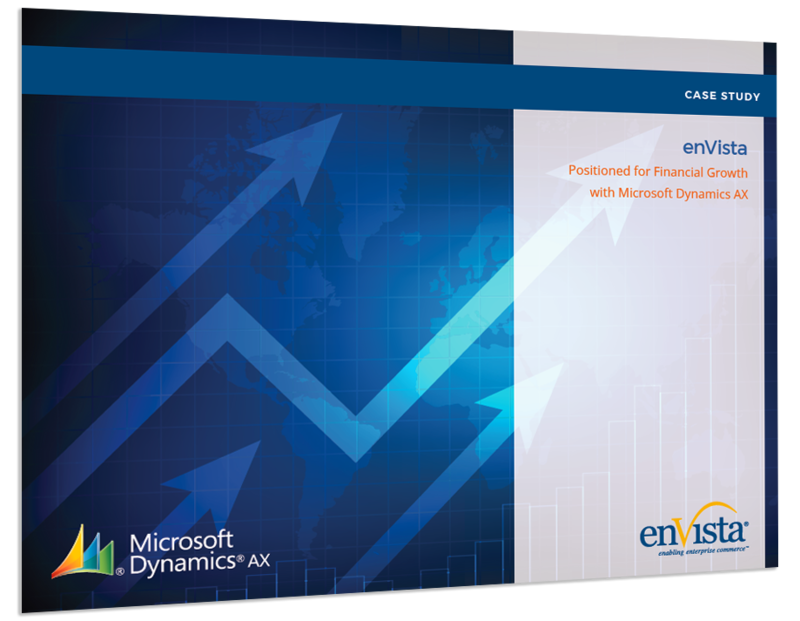 In this case study, learn how enVista implemented Microsoft Dynamics AX and is now positioned for financial growth. "Integrated systems have eliminated many manual processes and specifically the additional audits required to verify data."